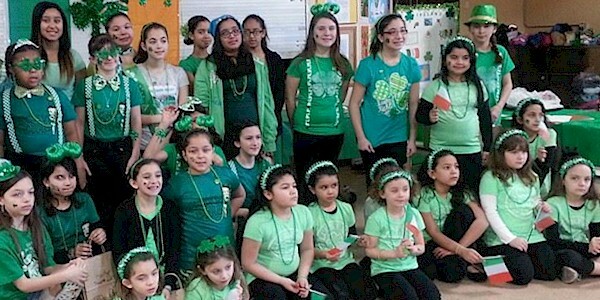 Troop 6127 from Bronx NY represent Ireland for their event.Girls who have the “Luck of the Irish” for are in for good times. Festive shamrock and rainbow decorations will draw guests to your booth like Irish sports fans to the pub after a hurling match. MakingFriends®.com has ideas and products to help make your celebration a success.